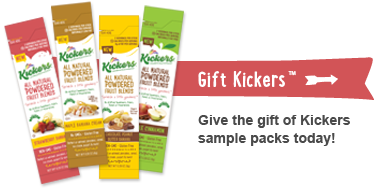 Kickers is a great-tasting blend of real fruit, spices, and other 100% natural powdered ingredients that transforms the flavor of your favorite wholesome foods. Convenient and Ready to use, sprinkle Kickers directly onto oatmeal, pancakes, yogurt, ice cream, and so much more! 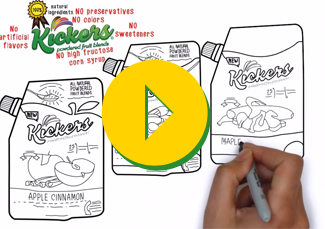 Convenient and Ready To Use, Kickers® is made with real fruit and other natural ingredients to keep our food the way nature intended - pure and simple. Sprinkle onto oatmeal, yogurt, pancakes, waffles, ice cream, fruit, protein drinks, smoothies, hot and cold cereal, baking mixes, cottage cheese, popcorn, whipped cream & much more! 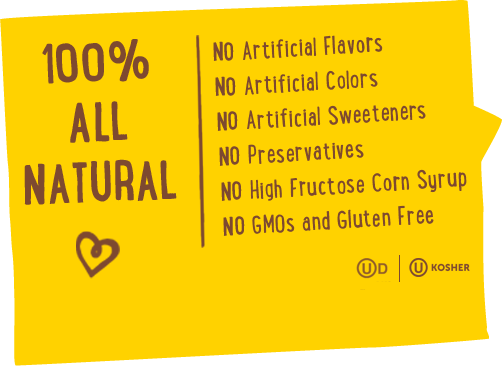 Perfect for Parents, Kids, Health and Fitness Enthusiasts and Everyone else!